A modern take on the traditional pearls jewellery, this necklace is both simple and contemporary. Made from freshwater pearls and sterling silver, it is also available in creamy ivory and soft pink. This necklace can be ordered in both 16 and 18 inch lengths. Posted in FeaturedSilver, Gifts, Jewellery Collections, Necklaces, The Blackberry Pearls, The Jewellery, Under €80. 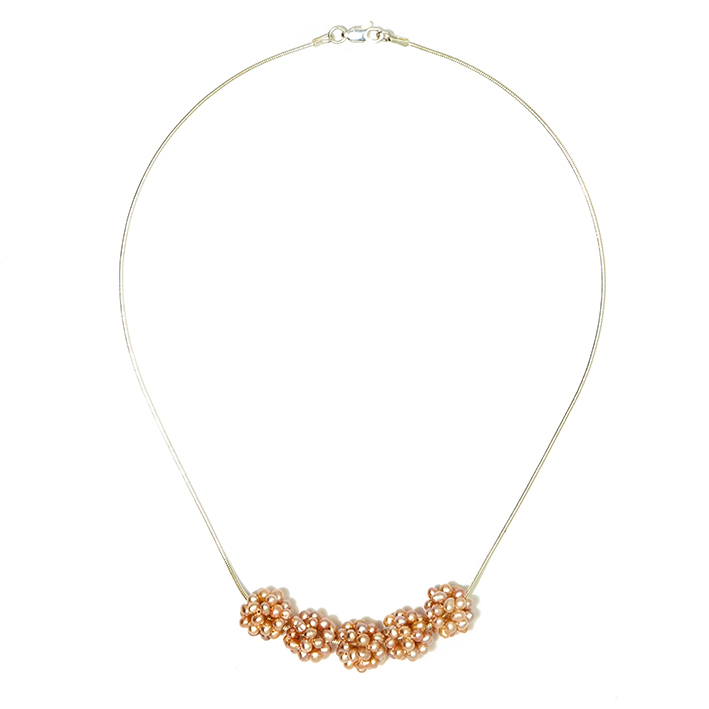 A modern take on the traditional pearls jewellery, this necklace is both simple and contemporary. Made from freshwater pearls and sterling silver, it is also available in creamy ivory and peacock. This necklace can be ordered in both 16 and 18 inch lengths.